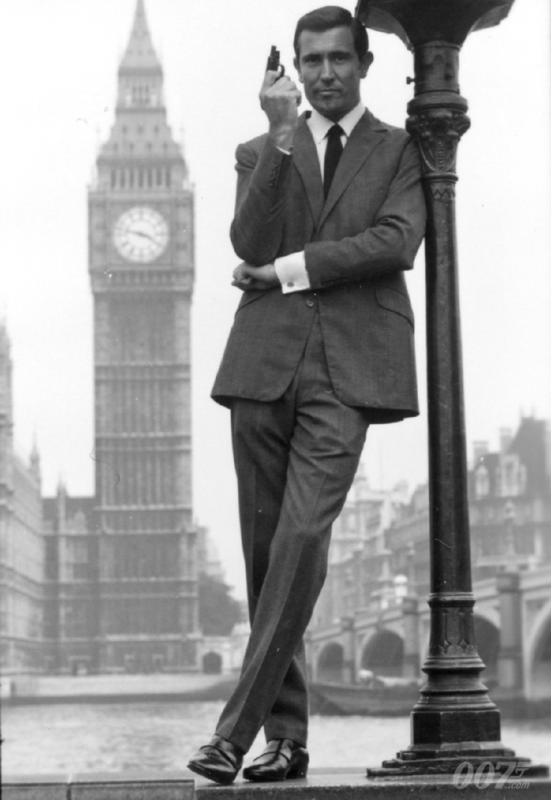 George Lazenby’s confidence, striking good looks and charm made him a natural choice to become the successor to Sean Connery as James Bond. Lazenby moved to London and lined up a job as a car salesman quickly progressing to selling Mercedes on Park Lane. His looks gained the notice of photographer Chard Jenkins and he quickly became one of the highest paid male models in Europe. After meeting casting director Maggie Abbott, Lazenby was inspired to audition for James Bond and set about turning himself into the perfect candidate. Purchasing a suit that had been made for Sean Connery for YOU ONLY TWICE but wasn’t used, he then went to Connery’s barber at the Dorchester Hotel asking for the Bond actor’s hairstyle not knowing that Bond producer Cubby Broccoli was in the next door chair. A long term commitment to 007 never materialised. Lazenby departed the series after just one memorable performance in ON HER MAJESTY’S SECRET SERVICE (1969).